Shot this at the same time as the previous post. 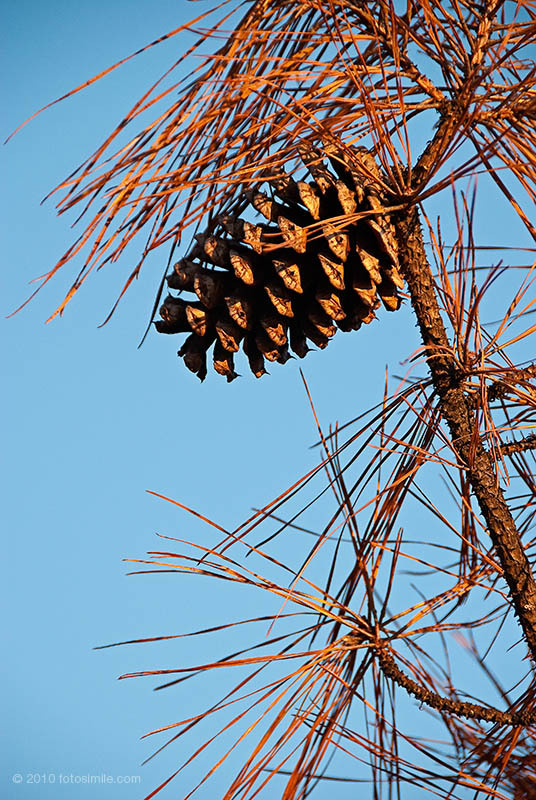 As the sun was dropping into perfect position for that sunset skyline shot, I grabbed a few photos of the pine cones in the tree above me. Funny thing is, I shot this as a vertical, but if I was to rotate it, the photo works as a horizontal also!